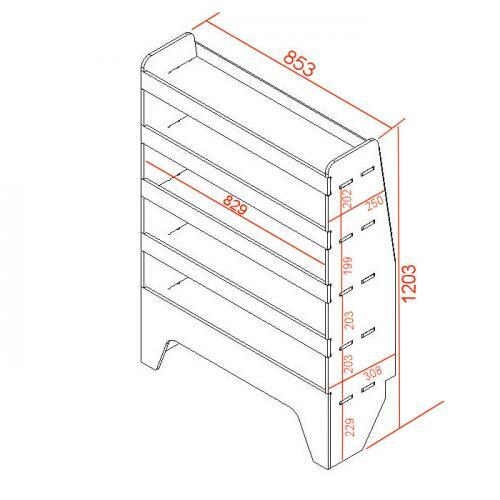 RACK WR39 - Unit has height of 1203mm x 974mm wide and depth at the base of 370mm, comprises of 4 shelves, 2 of the shelves are divided into small pigeon hole compartments. 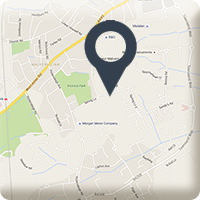 Comes with back panel supplied so will work in vans even if they haven't been plylined. 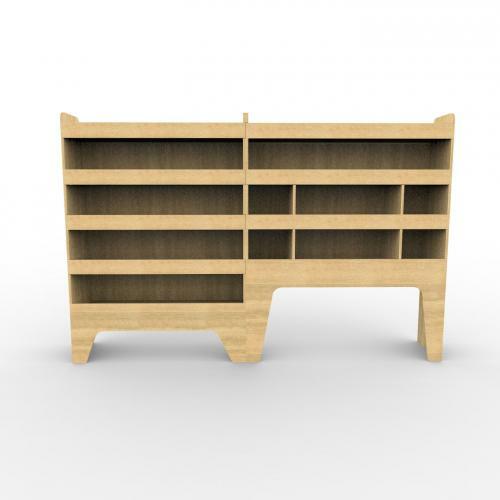 CNC cut with Interlocking shelves and mortice and tenon joints throughout for maximum strength and rigidity, constructed from 12mm ply. 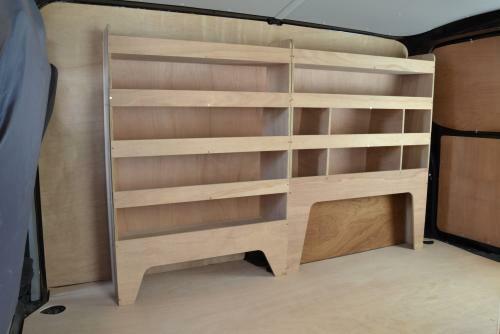 Retaining lip to all compartments, much less rattles than steel shelving when on the move. 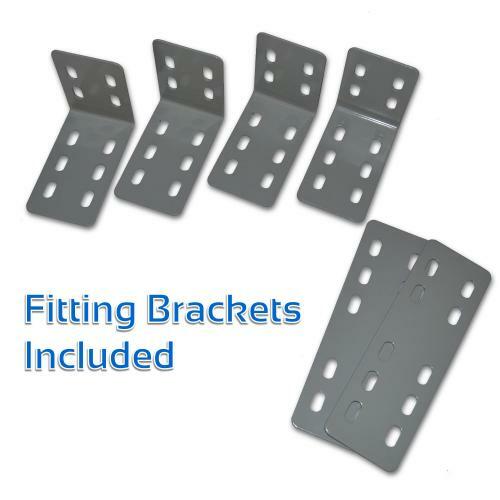 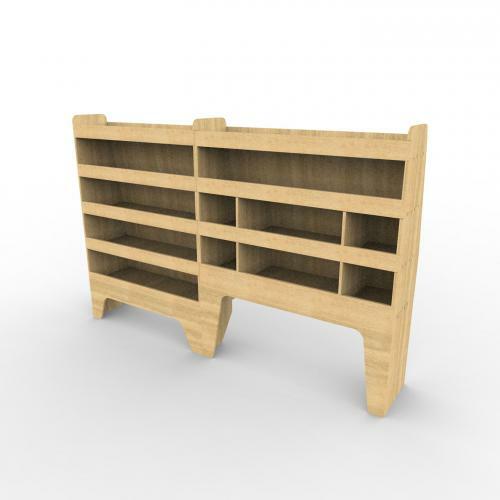 These units are supplies flat packed will full assembly instructions and due to mortice and tenon joint design they only take 15 minutes to assemble. 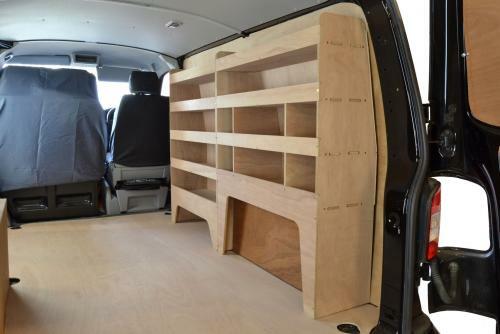 They can be assembled to fit on either the drivers side or passenger side of the van. 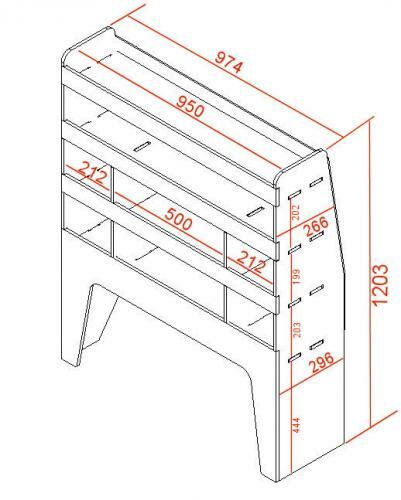 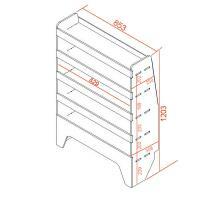 RACK WR37 - Unit has height of 1203mm x 853mm wide and depth at the base of 308mm, comprises of 5 shelves. 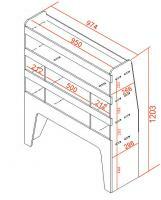 Comes with back panel supplied so will work in vans even if they haven't been ply lined.